I hope you don’t mind, but it’s time for another confessions post. But hey, if you can’t confess to your family or friends, who can you confess to? In the writer’s world there have been many a discussion geared toward plotting or flying by the seat of your pants. Hence the nicknames #plotter and #pantster came about. When I first started writing I tried to outline, I really did. But when I did outline I felt like I had written the book already and lost my interest. Thank goodness I found some pantsters. They made my writing world all rainbows and unicorns. Seriously? Folks who said it was A-Okay to sit down with absolutely no idea what was going to happen and write? PTL!! 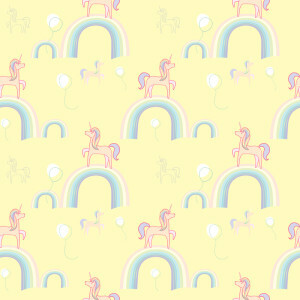 I lived in this rainbow and unicorn world for a long time. It was how I rolled when it came to writing. But, oh, the EDITS! I mean, edits. Reworking, and adding things at the beginning to bring your novel full circle that of course you didn’t think of until you were 3/4th’s or better through said novel. So, I learned to LOVE editing! Now my editing life was all rainbows and unicorns. Yes, my happy place shifted in my writing life, but what did it matter? I was still discovering the joy, right? I’m here today to tell you it’s shifted again. WHAT? It’s true! So, when people plot a little and fly a little the term #plantsters comes into play. I knew about this group of people, but even though I had started a little planning, not much (I couldn’t write while hyperventilating you see!) I never felt a part of this group of folks. As hard as I tried the rainbows and unicorns just wouldn’t come my way. Then it happened. A new way to write that brings out the best in me-AGAIN! The process goes something like this. I start the book with my basic premise, just like I always do. But, I have several different “leads” my heroine can take. I think of more than one idea I can explore and I started planting. Yes, planting idea’s has become my new way of writing. When the book is finished, I’ve truly explored and expanded one of these beginning plantings and it has turned into a major plot point. Then while editing, I remove all the “weeds” from the story. You know, those ideas that are now just in the way. They serve no purpose and are extremely annoying. So, I have named myself a #planter. I now plant write. Doesn’t that sound like fun? Maybe it’s just the season of life I’m in. Maybe this too will pass and another “new” way to write will knock me over the head. I have no idea, but for now #planting is my rainbow and unicorn world. Maybe I’ll explore the angle of twin brothers and how they date differently. That never happened, so it was plucked out. At one point in the story she mentions how she needed to buy (or rent?) a dress for a big event. That never happened either, so that was plucked out. Little pesky weeds that clutter and get in the way. The #planter takes them out. When I first started to write I was definitely a pantster, Lindi. Once I started to enter contests that required a synopsis, I was forced to outline and I felt so restricted. I’ll have to give planting a whirl. Jill–you had to say the bad word–synopsis! Ha JK. They are great for having a road map. I’m not opposed to them, I just like to have flexibility when I write them. I like this pantster – planter notion. As an academic, I don’t have much room for planting, because outlines are the key to telling the story of our data, but I can see how that is a lot limiting. Last weekend I wrote a book chapter out of the blue and I felt like a planter (even though I didn’t know it until reading your post). I had a main goal the editor gave me, but that was it, so I just let each paragraph flow from the previous and did a few edits in the end. Of course I ended up writing almost twice as I should have—thankfully he said it was okay so I didn’t have to go back and do too many edits. As for your questions, I like changing the way I do things most of the time, including reading. I used to be paperback kind of girl and then now I just don’t give up my kindle for a heavy (hard to hold) book. The stories are about the same, and every once in a while I go back to paperbacks again… I have a room full of books in my house. And they are from many different genres, because sometimes I feel in the mood of mysteries (my Agatha Christie collection is quite big compared to others that I have), I’ve tried historicals a few times, but I always go back to romance, and although I’m partial to inspirational books, I do like some Nicholas Sparks kind of books. As a reader I find that I do go through different genre cycles at times, mostly contemporary and historical (I’m not a big fan of mysteries). Hi Lindi, I enjoyed hearing about your writing process… I like the idea of planting. I have always felt that a good book has multiple “seeds” in the first chapter that are intriguing enough to make the reader want to see what happens. By the way, Uptown Flirt sounds great! May 3rd is my birthday! This would make a great gift. Gail–Happy early birthday!! :) Thanks for stopping by. I used to go through reading cycles, but not so much anymore. I have so many books I want to read I simply open the first cover that grabs me from the books I’ve downloaded on my kindle. Once in a while that story doesn’t appeal and I’ll find a different one, usually a different genre. I occasionally deviate into historical or fantasy for my reading, but I do really love contemporary romance the best! I go through spurts, I always read my favorite authors books when they come out , then at times I go through a different periods of time. Sometimes I read Coptic Christian novels for a while or then I get into more modern Christian novels. I always read Christian novels and have many favorite authors. My Kindle is loaded with books so I have an abundance of titles and authors to choose from. Reading is my favorite pastime. I am retired so I read when ever I have the opportunity. Linda – I’m really curious as to what Coptic Christian novels are! Retired and reading! Ah—does it get any better? Thanks for stopping by. Back when my husband and I were in seminary, we had one typewriter between us, so I wrote out my papers in long hand (pencil) first and had to have each word right before I could go on to the next word. Then I’d type them up when the typewriter was available. My husband would sit down and just start typing! Now, with computers, I can just start typing and easily go back and change things! On reading habits, if a favorite author has something new out, I’ll read that. Lately I’ve had so many “want to reads” on my Kindle, I try to figure out what kind of mood I’m in. After reading something intense (like Charles Martin), I need a light romance next to recover :-) And sometimes non-fiction will be a good change. I’m not picky as to whether it’s the e-version or a “real” book, but I like being able to read on my Kindle at night and not wake my husband up with having a light on. Margaret—I gave up having the “exact” word. I’d rack my brain and sit and stare forever. :) I need to read Charles Martin. I’ve heard so many amazing things about his books. I rotate historical periods, sometimes mysteries, but mainly inspirational romance. I really like happy endings :-)! The funny thing I find is I frequently am reading one book on electronic device, which I love, and one book in printed paper form. dlw—my tagline is “happy endings are just the beginning.” So I think you might like my books. :) And yes, I read paper and e-books—like I said above–paper in the bathtub! Can’t risk that Kindle slipping into the bubbles. I was asked recently what type of stories I prefer to read. I said definitely romance books. Historical, contemporary or whatever as long as it has a great romance in it, I’m there! I love clean romance stories and happy endings!! Love your book cover by the way! #ROMANCE always, right? Thanks for the comment on the book cover. I was thrilled when I saw it! Yes, I do tend to go through cycles it seems. As long as there is a good romance in the book I know I will like it. Whether it’s historical, contemporary or Amish, I love a good romance. Yes, I have changed my methods of operation regarding different things in my life before when I discovered a different way that made things easier on me or that I just enjoyed more. Of course, lately, the changes have been in how to get my 14 month old to sleep. For a while we rocked. Then she decided that would no longer work. Next, I would lay her down with me in my bed and then when she fell asleep, I would put her in her bed. And again, she decided she didn’t like that method anymore. We’ve tried various other methods over time, and after a time, she would decide she no longer liked that method. Our current method is for Daddy to rock her while he watches a show on TV low in the background. We’ll see how long that method works. :) I do go on reading binges of a certain genre and then take a break and read something else. I’ve also been known to binge read all of the books by one author that are available and then be waiting for the next one to come out. Lindi, thanks for sharing your writing process. I’m a pantser and will always be one. Yes, I’ve had to turn in a synopsis to sell on proposal to traditional publishers, but I love just letting the story develop. I have a hard time knowing what will happen. The plot reveals itself as I write. That’s why I’m loving indie publishing. I don’t have to write a synopsis. Thanks for a nice blog post, I think I would be what you call a planter, an OCD planter. I go through episodes of reading different genres now I concentrate on Christian fiction but I read crossover thrillers and suspense..
As a teenager, young adult, young wife and mother, I primarily read about 10 to 15 romances a year. As a pastor’s wife, I read devotionals and church growth books. As a high school English teacher, I read the books that I taught each year. From my travels, I read travel books and non-fiction. Now that I am retired I go through cycles. Over the last few years, I have discovered many new authors in the United States and around the world. I enjoy interacting with Michigan authors, most are cozy mystery writers. During the holidays, I read lots of romantic boxed sets. Since I signed up for recommendations from Book Bub, I have downloaded interesting romance and nonfiction books. I also belong to a monthly Book Club for Foodies sponsored by the local library and school of cooking. Becoming more diverse in my senior years. Presently I am read out – never thought I would say that. Rather than reading a book or two a day – I am not reading a book or two a week. The weather is far to nice in Michigan to stay indoors. Even in life, some of us are plotters (the daily or weekly To Do List), pantsters, or plantsters. Thanks for sharing. Renate–so true!! The terms can be used for all aspects. :) I love how you have read across the realm. I used to do that much more than I do it now. Also, I’m glad your weather is nice in Michigan. We have been so cold here in Ga. We are hoping for a nice weekend. Enjoy your time outdoors! I hope I can soon, too. As a high school teacher, the idea of being a pantster or plantster was interesting- so much planning goes into a lesson/sequence of lessons to ensure curriculum etc. is covered yet questions from curious students (the best type) always initiate that pantster moment- and can lead to discussions that cover issues of faith, ethics and the like, better than any planned lesson. Wemble—Ah….so you see the correlation when us pansters have to go to the beginning to work in the “thing” that showed up toward the end—so it will all make sense. Seems much simpler to plan, but…. :) Thanks for stopping by!